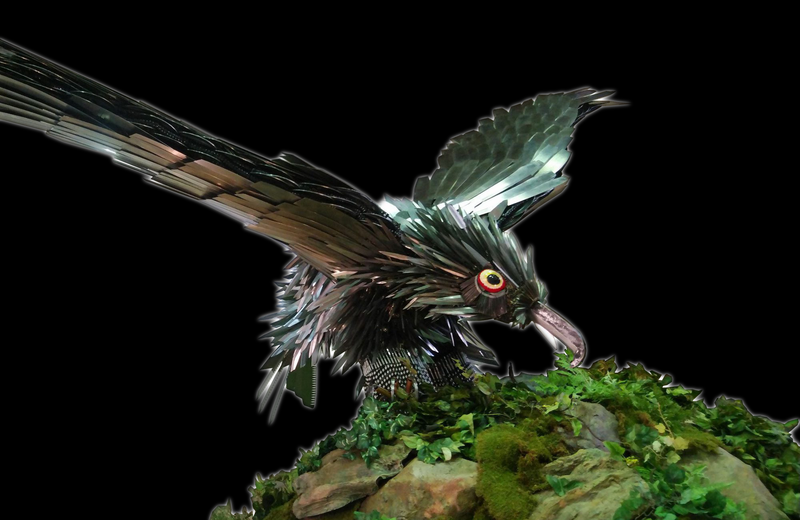 "Miki Hardware Eagle" is made of Saws, Kitchen knives, Small knives, sickle and others, more than 3,000 Miki hardware. 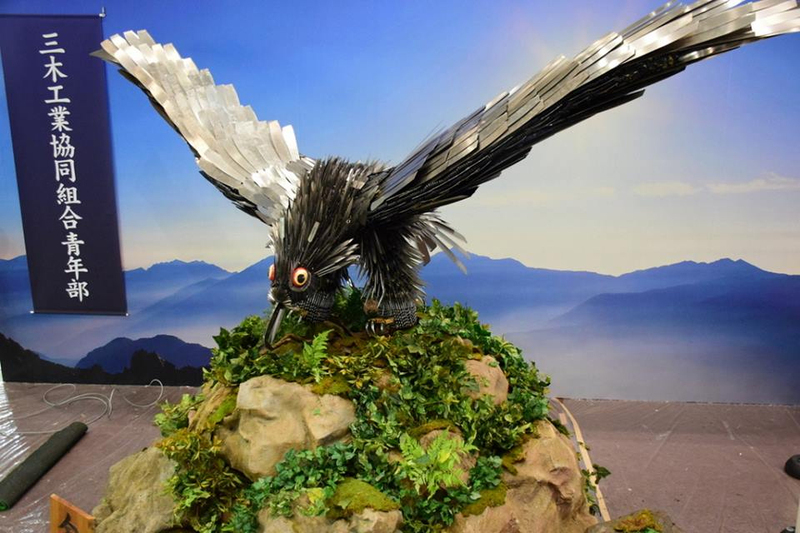 It is about 1.5 tons, about 5 meters wings, about 3 meters tall. 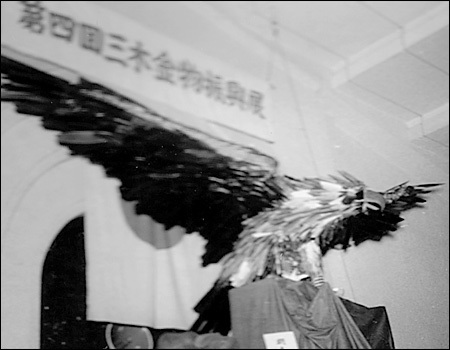 It is a phantom (rare) eagle that can only fly for 3 to 4 days on safety. 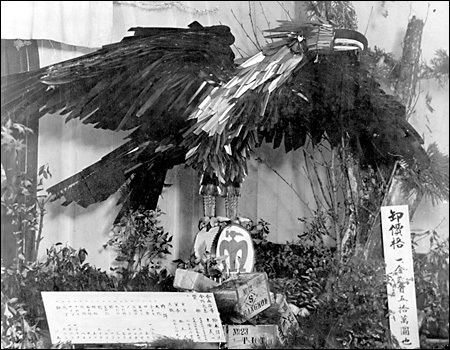 The symbol of Miki hardware, "Kanamono Washi (Hardware eagle)" originated in 1933. Due to the heavy rain, the Mino River overflowed and Miki was flooded. After the disaster, in order to raise spirits, the people of Miki sought to recover the town. So, in order to recover from the damage, they gathered ideas from the citizens. In 1952, the First "Kanamono-Washi" was made by Shinji Suzuki, a craftsman of the Misuzu Knife Blade Workshop, and craftsmen of the Hyogo Industrial Engineering & Technology Center. They made it by referring to the trial model eagle made in 1933. It made its debut to the public at the venue of the Miki Hardware Fair that year. The Miki Hardware Fair was later called "Miki Hardware Festival". The Fair was held for 5 days from October 15 in 1952 at the auditorium of the Sanju Elementary School. 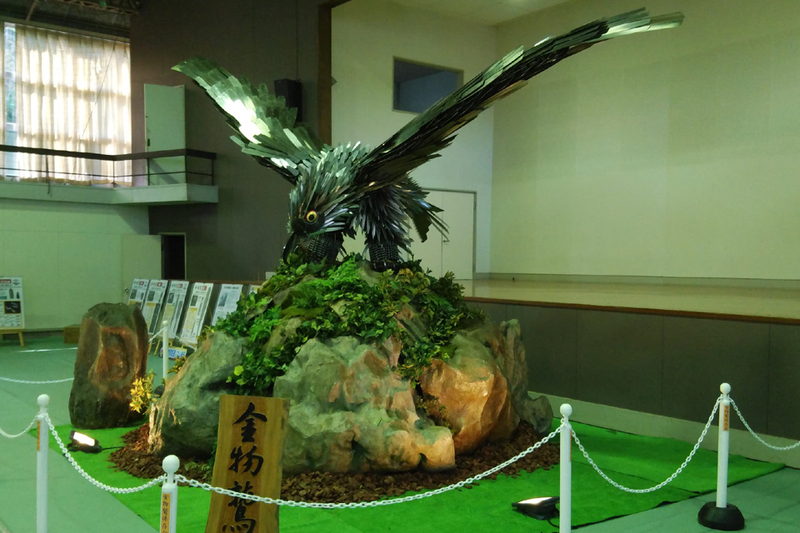 This big scaled fair cost over 1.5 million yen. Today's Miki Hardware Festival began its debut in 1959 after having reformed twice. 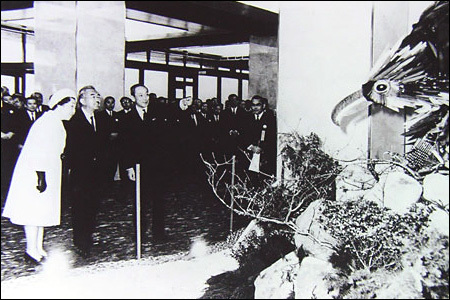 The "Kanamono Washi" was exhibited in New York at the National Hardware Show in 1972. This was the first debut for "Kanamono Washi" overseas. "Kanamono Washi" was honored and appreciated by the late Emperor of the Showa era and was exhibited at "Tokyo International DIY show" in Tokyo and Osaka later. It has taken a precious and important role as the symbol of Miki. 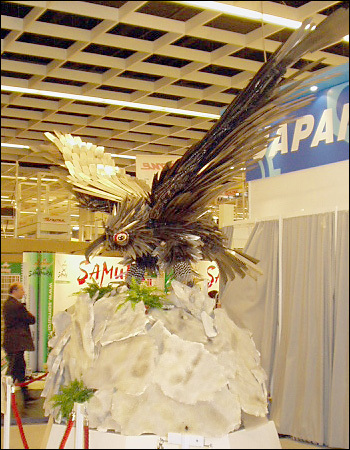 In 2006, It was also exhibited at the International Hardware Messe in Cologne, Germany. Its first debut in Europe was admired by many people. In the assembling process of "Kanamono Washi" craftsmen need a lot of time and advanced technology. They carefully assemble many saw blades around an iron pillar covered with rice straws for about 8 hours. Its exhibition period is limited to four days because keeping it secure requires a large space and a lot of money. And so its exhibition was limited to only few times every year. 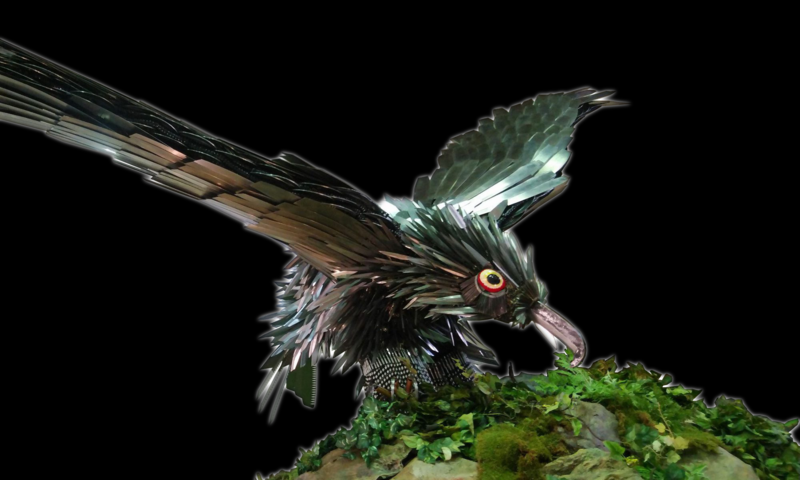 In 2019, the Miki Hardware Association "Hardware eagle" Preservation Society has exhibited the fourth generation hardware eagle at Miki Hardware Festival and others. Copyright © 2019	MIKI KOGYO ASSOCIATION. All rights reserved.